When I look across the shelves in the nonfiction collection in my library I notice three types of books. There are the books that fill a gap in the collection, but they don't circulate often. There are "reseearch" books that students check out when they're completing an assignment for school (states, countries, ecosystems, animals, explorers, etc...). Finally, there are the popular nonfiction books that students check out week after week. In my school library some of the popular nonfiction topics are rocks & minerals, dinosaurs, how to care for pets, sharks, World War II, and survival techniques. 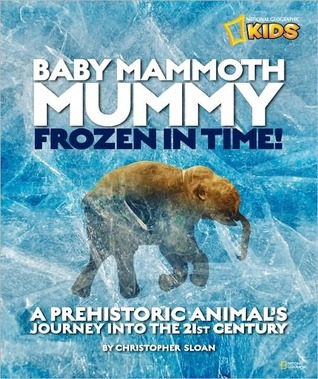 I'm constantly looking for new nonfiction titles, and I wasted no time in ordering Baby Mammoth Mummy! for the information connoisseurs in my library. Ice Age meets Technology Age as scientists use cutting edge tools to study a recently discovered baby mammoth in Baby Mammoth Mummy: Frozen in Time! The book is divided into three sections: "The Discovery," "The Investigation," and "Lyuba's World." The first chapter describes the Nenets of the Yamal Peninsula of Siberia. The Nenets are nomadic and rely on reindeer for food and clothes. It's common for the Nenets to unearth mammoths in the region when the permafrost thaws. Sloan includes a Nenet myth about mammoths in the first chapter, showing how important mammoths are to the Nenet culture. Yuri Khudi, a Nenet herder, discovered a baby frozen mammoth in the permafrost one day while hunting in 2007. 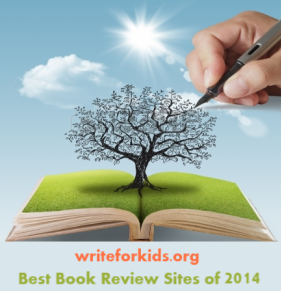 Christopher Sloan writes in a descriptive and accessible style that will engage readers. "As Yuri and his sons stood around the little body lying on the sandbar, they were shocked by what they had found: a perfectly preserved baby woolly mammoth. It was frozen solid." Sloan makes the story palatable to young readers by including anecdotes about the discovery of the mammoth. Readers will find it interesting that when Yuri left to get assistance from a friend and to contact the Yar Sale museum, his cousin took the mammoth. Yuri returned to find the mammoth missing! Luckily, the mammoth was retrieved from Yuri's cousin with assistance from the police. Dogs had chewed off the mammoth's tail and an ear, but the body was in good shape. A team of scientists from Japan, Russia and the United States worked together to study Lyuba. (The name Lyuba means "love" in Russian.) The scientists were amazed by the small size of the mammoth: 33 inches high and 110 lbs in weight. Using radiocarbon testing, the scientists determined that Lyuba lived 42,000 years ago. The research team packed Lyuba in dry ice and plastic bags to fly it to Japan for CT scans. Every inch of the mammoth was studied and tested including its teeth. Dentin from the teeth help provide clues about the food and plants available during the Ice Age. Researchers pieced together data to determine that Lyuba died from drowning in the mud. Amazing photographs compliment the story of Lyuba. One photo shows the frozen mammoth being loaded onto an airplane. In another photo, a team of scientists dressed in sterile suits and masks insert a probe into the mammoth's body. Science-minded readers will be interested in the CT scan that shows Lyuba's bones and muscles. Maps, a timeline, and a page about the order of Proboscidea (elephants, mammoths, and mastadons) provide additional information for curious students. The final chapter uses illustrations and photographs to show readers what life was like for mammoths during the Ice Age. 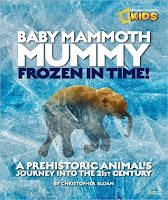 Baby Mammoth Mummy: Frozen in Time! would make an interesting read aloud for a middle grade science class or an independent reading book for fans of nonfiction. 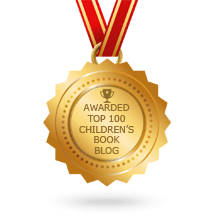 It's sure to be scooped up by readers interested in science, technology and history. So so nice! I love how you linked it to Ice Age which has immortalized mammoths for all times. My daughter is studying glaciers now in the 4th grade and sediments and the rocky cycle and such - I have a feeling I'd need to look out for this book since I'm sure she's bound to love it as well. Thank you for sharing this. This sounds excellent! I'll look for it for the Doucette Library. PS. I just received a copy of Mysterious Bones which I haven't had a chance to read yet. This was one of your recommendations, too. Thanks.